When we get this process fully ingrained, our concentrated annual budget season will disappear. 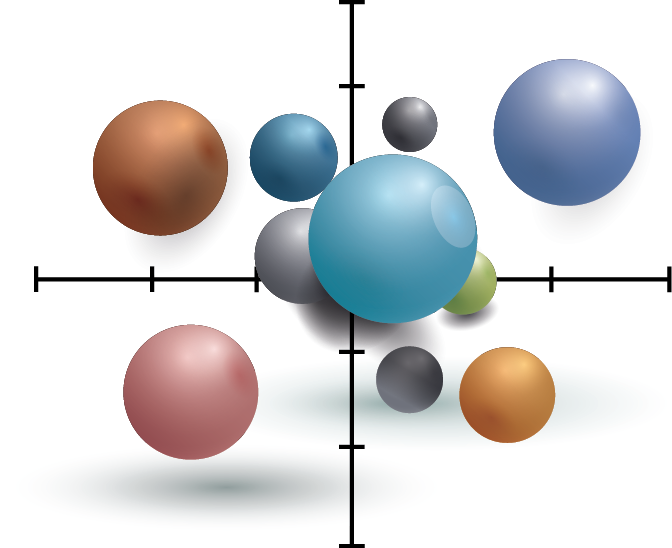 We’ll track performance from month to month, quarter to quarter. But the transition has a few holdouts. A few departments still come to the table with a laundry list of how next year they’re going to do everything differently. Somehow they think the budget review is the best time to insist that they need more staff, more equipment, but will generate not one dime more revenue. One department with four peer departments across our system, suggested that their higher staffing ratio comes from “doing it right” while the others neglect their patients. The monthly performance report will quickly highlight their timid goals. Just the way we sort the ten biggest budget shortfall variances for each hospital, I also have a report that illuminates the ten biggest overachievers. A “victory” relative to an artificially easy budget benchmark doesn’t necessarily prove superior performance – it can highlight an unambitious target. It’s been a 3-day weekend, and I was in the mood to duck work last week so I tagged on a couple of extra vacation days. It seems like I’ve spend much of the past five days putting content on this framework, and it still looks pretty skinny. I’m looking forward to a normal workday tomorrow to let my brain decompress. On the upside, I think I have a pretty solid draft for an article intended for the HFM journal. I hope to get something submitted by end of week. 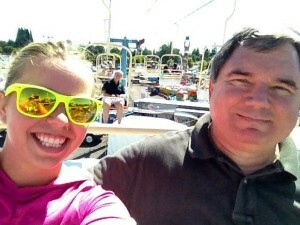 Did find time to go to state fair and ride the gondola with Emily. Whoopee! If your current budget is rather “old school”, it wouldn’t surprise me if many of your customers don’t see much value in it. It’s tough to optimize customer value based on no appreciation. Zero doubled is still zero. So you may have to dig to find your customers that are using the budget appropriately, or you may have to put yourself into their shoes to imagine the untapped potential the budget might represent. I’ll admit to imposing some of my own opinions onto what I think my customers need for value. The biggest mistake I see my customers make (oblivious to their error) is that they judge their financial performance based on their published budget – completely without regard to changes in business volume. For example, they pat themselves on the back for beating their salary budget by $10,000. They fail to recognize that they only beat their budget by 2%, yet their volume for the period was off by 10%. This gets me to my overarching theme: budget and track the ratio. Budgeting the resulting dollars, creating budget income statements and tracking dollar variances, is meaningful to the accountants who developed the budget models, but it has too many subtleties that are lost on the average department manager. What subtleties (and sources of error)? More on that…. I’m going to paraphrase and abridge heavily. There are multiple authoritative sources on the principles of lean. Here’s what sticks with me. If you’re working on budgets, your customer is usually your in-house management team and departmental managers. Focusing on the steps that actually create customer value. Don’t form sentimental attachments to anything. Listen to your customers’s needs, rather than telling them what you’re going to deliver. If you think it’s perfect, you’re wrong.